Detecting alien worlds is a significant challenge since they are small, faint, and close to their stars. The two most prolific techniques for finding exoplanets are radial velocity (looking for wobbling stars) and transits (looking for dimming stars). A team at Tel Aviv University and the Harvard-Smithsonian Center for Astrophysics (CfA) has just discovered an exoplanet and the planet they found, Kepler-76b, was identified by the BEER algorithm; an acronym for relativistic BEaming, Ellipsoidal, and Reflection/emission modulations. BEER was developed by Professor Tsevi Mazeh and his student, Simchon Faigler, at Tel Aviv University in Israel and is a new method that relies on Einstein's special theory of relativity. 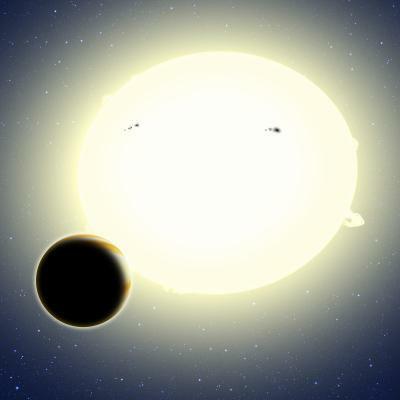 Kepler-76b orbits a type F star located about 2,000 light-years from Earth in the constellation Cygnus.